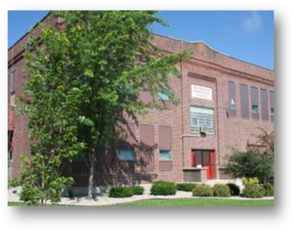 The elementary school serves approximately 185 students in grades K-5. Southland Elementary School strives to maximize each student’s potential by providing a safe and healthy learning environment. Children and staff recognize that by developing skills, experiencing success, and thinking creatively, a love of learning can be developed. Elementary Student Council. Student Council members for 2018-2019 are: President: Kennedy Felten ; Vice President: Grace Krebsbach ; Secretary: Breeley Galle ; Treasurer: Avery Stroup ; 2nd Grade Mrs. Klingerman Rep: Javyn Hondnefield; 3rd Grade Mrs. Arens Rep: Brailyn Swenson; 4th Grade Mrs. Lamp Rep: Allison Prescott; 4th Grade Mrs. Klein Rep: Haylee Lowe; 5th Grade Mrs. Klein Rep: Amy Smith; 5th Grade Miss Tapp Rep: Lauren Irvin. The elementary school collects the following items: Milk Moola tops and milk labels from Kwik Trip, Kemps milk tops, Box Tops for Education from General Mills, and pop tabs for Ronald McDonald House. The focus of the iPad program at Southland is to provide tools and resources to the 21st Century Learner. Excellence in education requires technology to be seamlessly integrated throughout the educational program. The iPad computer provides a simple and portable way to manage information and allows students constant access to learning opportunities. The individual use of iPads is a way to empower students to maximize their full potential and to prepare them for college and the workplace. Click here to view the Southland iPad Policy. Southland Elementary School is proud to host the Southland Elementary Parent-Teacher Organization (PTO). The PTO consists of several parents and teachers dedicated to the students of Southland School District. The goals of the PTO include: Communication, fundraising, student services, and volunteerism. Like the Southland Elementary PTO on Facebook.